In this article I’ll list the four best free self-guided walking tours that helps you Experience the best of Palermo. Follow them and you will not have to wonder if you have missed something crucial. 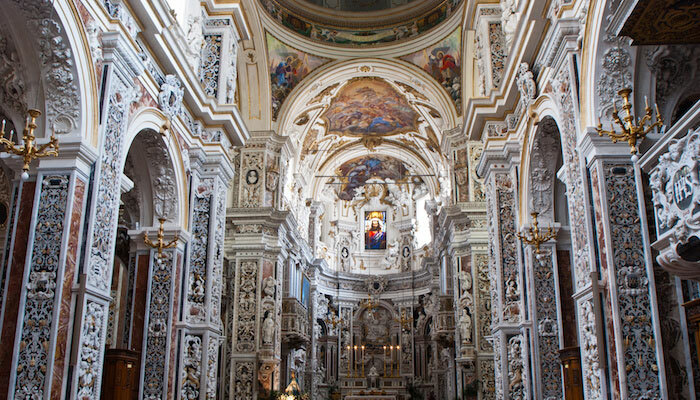 You really can’t say that you’ve seen all Italy has to offer without making a stop in Sicily. Sicily is the largest island in the Mediterranean Sea, welcomes you with open arms. Palermo, Sicily’s capital, easily wins Italian Capital of Culture, and will be the place that you experience these open arms the most. My arms are always open to you at least. I am Tano and I am so very excited to tell you about the walking tours that you can take through my city of Palermo. You might not have thought about Palermo as a city that you are better off seeing on foot, but with all of the easy to follow walking tours that I am going to give you, you will not have to wonder if you have missed something crucial. 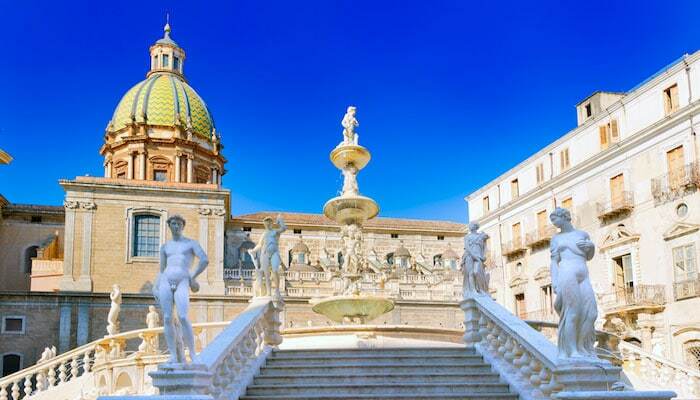 Don’t be shocked if you become entranced by the art, culture and beauty of Palermo when you take these city strolls through the monuments and major attractions in the region. As magical as this place is, it is very real and very much a place that you need to experience first-hand. There is a common theory among Sicilians about how the island came to be. Once it was believed to be a part of Italy and its boot shaped land mass. The toe of this boot became jealous of Sicily’s unmatched beauty and grandeur, and kicked it away into the Mediterranean. What an island Sicily is though! 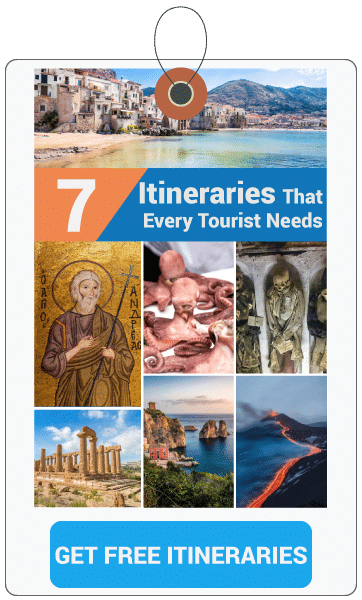 Here are a few tips that you should keep in mind as you read through the routes through Palermo that I have written itineraries for. You will find that there are many places that won’t allow you to use a credit card to pay for things, especially when you go into different churches and outdoor marketplaces.Each of the walking tours throughout various districts will detail an expected cost of admission to different attractions and monuments, so be sure to carry enough with you to cover these costs. Worst case, there are no shortages of ATMs all over Palermo. While there is not an overwhelming amount of street crime in Sicily, this doesn’t mean that you should sparkle like a Christmas tree, either. Liken it to any other major city, and be mindfully cautious of the possibilities, and just leave your valuables in a safe place. Every day will not feature the same hours of operation for these various attractions. I have taken the time to list all of the opening and closing times for attractions in each one of the walking tours, but this doesn’t mean that they can’t change again by the time your vacation rolls around. It is not something that I want to be writing down, but a lot of Palermo is dirty. Building decay and overall garbage is on the rise all over the city, and it seems as though we are still a few evolutionary jumps away from being a civilized city. You would be much happier if you decide to overlook this unfortunate state and delve deeply into the art, history and beautiful areas of the city. Tour guides of the attractions and the general staff hired to work these areas are often not as adept as they should be. Fortunately for you, I am well versed in the immersive history of this city and its major attractions. So my guides will give you likely more of a history lesson than those that are paid to educate you at these sites. Sicilian drivers are downright out crazy. Don’t even trust the lights that tell you when it’s safe to walk, because even then it might not be. Make sure you look both ways and proceed with caution. 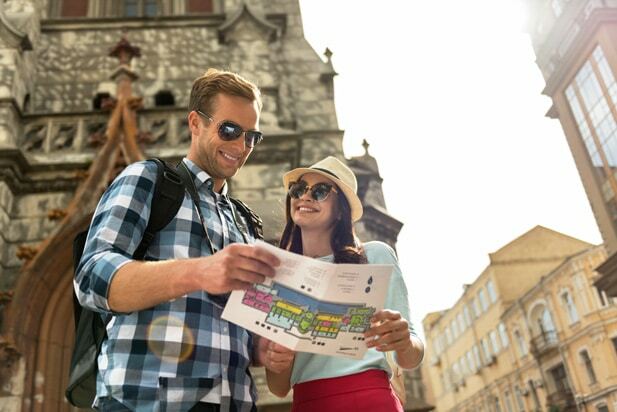 Not only will these tips help you to appreciate all the sights and sounds of the city, this is a nice summation of the tourist information page (which you should also read). Palermo is so rich with history that it could be one of the foremost historical sites in all of Europe. There is so much to see and do, that it can’t all be done in just one day. So to make it easier I have created the our best walking tours (each a full day and listed in order of importance) and recorded my voice explaining the monuments along with some interesting stories tailored to details that were previously only known by the locals. This helps you to make your decisions about what is the most important to see based on the amount of time that you have to explore the city. For example, if you only have 2 days to spend in Palermo, the first and second walking tours will offer the most bang for your buck. Of course, you could always just choose which two sound the most appealing. You aren’t forced at gunpoint to follow the laid out plans, they are just suggestions. If you only have a day, or even a few hours to spend in Palermo, check out this page for the quick must-sees of the city. There are a lot of attractions that you really should see when you are walking through this quarter. You will see the unforgettable Ballarò outdoor market, the awe-inspiring Palatine Chapel and the historic Quattro Canti (Four Corners). This area is rich with history, such as this being originally the Kemonia River, where 7th century Phoenicians settled. This diamond shaped district carefully conceals the Capo Market from the pressures of conventional social trends and changes, leaving it a true testament to traditions. You will also get a tour through Teatro Massimo and the Cathedral, two impressive structures that will make a believer out of anyone. If you only have 2 days in Palermo, combine this plan with the Albergheria Plan for all of the must-dos in the city. See the full Capo District Tour here. Throughout this plan, you will see an expertly crafted path through the iconic area of Palermo where Arab emirs once resided, leaving the entire district with a distinct flair uncommon to any of the others. This is the most creative and thrilling district for the art and history enthusiast. 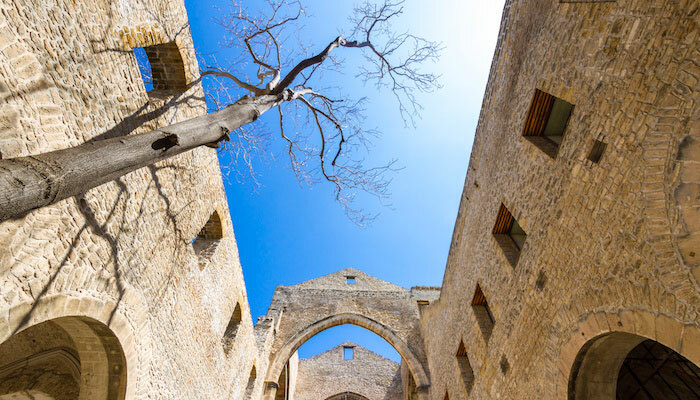 From the paintings at the Abatellis Palace to the Fountain of Shame, you will get a one-of-a-kind look at the history from the early days of Palermo through the throes of the Spanish Inquisition and beyond. See the full Kalsa District Tour here. If you are a devout believer, or just happen to love seeing old churches, this is the tour for you and then some. In this plan you will see 4 different amazing churches that will leave your jaw on the floor. 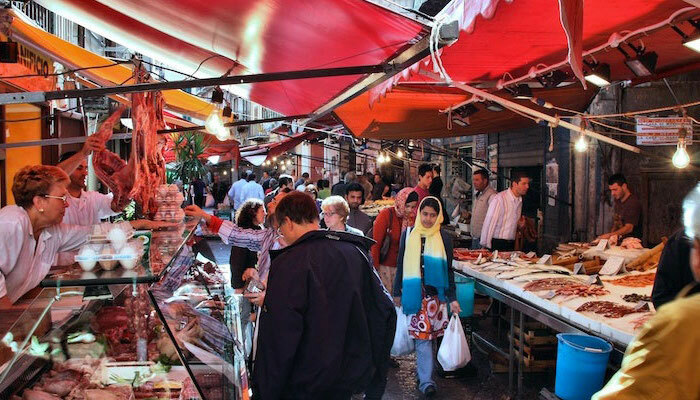 Why the name might draw an image of a bustling marketplace to mind, this isn’t the case anymore. Now there are only a few stalls with modest offerings throughout the district. At night, this same dismal former marketplace comes to life with good times, great drinks and dancing. See the full Vucciria District Tour here. Of all the things you can see on free Palermo city walks, these four plans will detail all of the things that will appeal to everyone in your party for one reason or another. You can find the map of Palermo here. You can download this to your mobile phone and you can use it to reference against the page that follows listing all of the things that you can do. I hope that this was helpful to you, and I also hope you can put these well thought out walking plans to good use during your stay. If you have any questions, concerns or complaints, feel free to write something in the comments below so I can put your mind at ease.